While music has never been a major focus of social sciences, the reflection on its significance in social life has always been present. 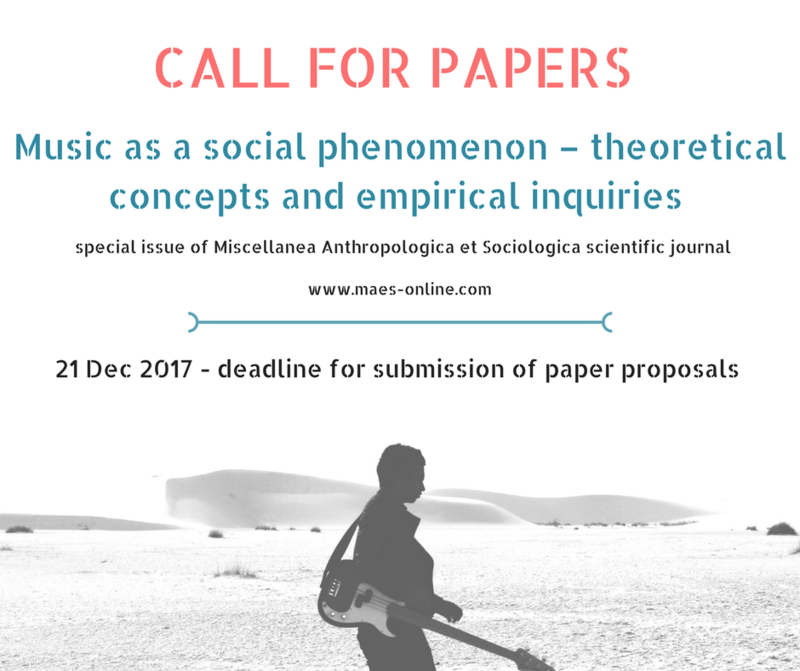 Music was analyzed, among others, in the context of the social construction of genius (E.Elias, T.DeNora), social movements (R.Eyerman), socio-cultural changes (T.W.Adorno), power and political influence (J.Attali, G.Born) or social stratification (P.Bourdieu, R.A. Petterson, M.Savage). Regardless chosen subjects and perspectives, the researchers are consent that music plays an important role in social relations. As Tia DeNora points out: „(…) music serves as a medium in, through and against which feeling, perception, attention, consciousness, action and embodied processes are produced. At times, actors may engage in this appropriation process with deliberation, knowing how certain music works on them from past experience. But at other times, music may take actors unaware.” (DeNora 2009: 161-162). Classical vs contemporary theoretical approaches to music research – raptures or continuation? Music – identity – everyday life – lifestyle orientations. 31 March 2018 – submission of full papers (in English or in Polish). Editors: Katarzyna M. Wyrzykowska, Agata Rozalska, Krzysztof Stachura. Miscellanea Anthropologica et Sociologica, founded in 1992 (University of Gdansk, Poland), publishes quarterly thematic issues on particular sociological and anthropological topics. It is edited by experts in the corresponding fields. Miscellanea Anthropologica et Sociologica is a reviewed journal that publish articles in Polish and in English. All articles included in journal (with the exception of licensed reprints) are granted a general free use permission for non-commercial activities. More information is available HERE. Call for papers on MAeS website is available HERE.